Kangaroo Paw is Kohsuke Nakmura's home recording project. In 1999,Kohsuke has participated in an ambient / electronica group 'neina'. First album,'formed verse' was released on Mille Plateaux. They went on release several albums and started new project 'maju'. In 2000,Extreme Records released their album and Kohsuke started his solo project Kangaroo Paw.Its album is released on Shinkhai records. 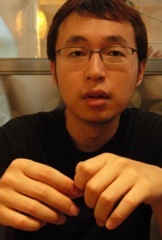 And then he became a mixer , recording engineer , arranger ,and programmer.He has mixed and remixed albums and trucks by many japanese major artists including : toe, dill, Natural Punch Dranker, Shuntaro Takabatake, Chisako Mikami, Miki Furukawa, Yumiko Hattori, AUTO PILOT, REACH, Back Drop Bomb.He mixed not only music product but also art. Sculptor Odani Motohiko's art movie 'rompers' was mixed by him.